The Children's Museum of Atlanta is a great place to take little children to play and learn. 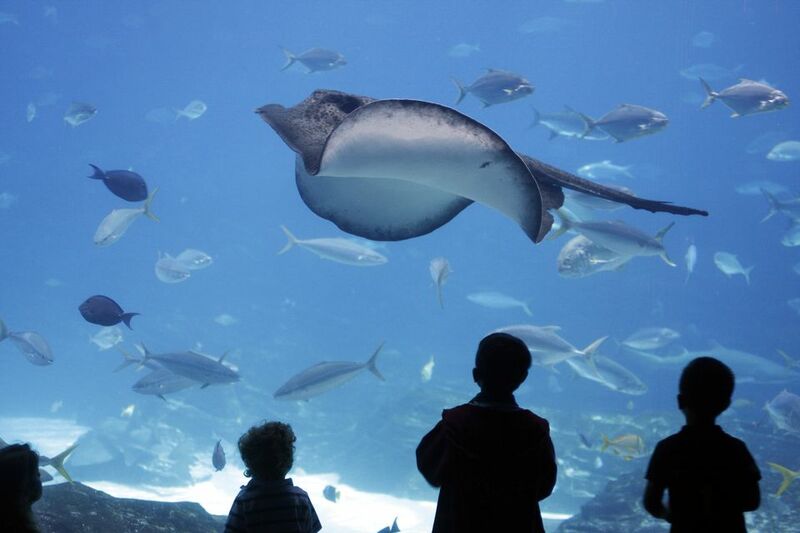 Located in downtown Atlanta near Centennial Park, the Georgia Aquarium and the World of Coke, the museum fosters learning and imagination for kids in a safe and exciting setting. Splash in the water table (raincoats are thoughtfully provided), sculpt a Moon Sand masterpiece and guide balls through a giant system of machines. Special exhibits and the museum guides and performers will make each visit memorable. It's a popular place to go, and it can be affordable, too. Although museum discounts and coupons can be tough to find, here are some other ways to save money on your trip to the children's museum. The museum occasionally offers special deals, like the Goodwill of North Georgia Discount. With this special, you could make a donation to the Goodwill and get two-for-one tickets to the Children's Museum of Atlanta. In the past, the museum has also offered free admission over Halloween weekend and for mothers on Mother's Day and fathers on Father's Day. You only have nine days to use this pass from the first attraction you visit, but if you are planning a staycation for spring break or summer, consider a CityPass. This pass will get you into multiple of Atlanta's top attractions (including the aquarium, World of Coca-Cola, Zoo Atlanta and more) for a discounted rate. It's a huge saving over purchasing tickets separately. Purchasing a museum membership is a great way to save money and support local cultural institutions. There are six membership options that range from $90 to $500. If you're a family of four and you go more than two times, the family pass ($130) is worth getting. Added benefits of a membership include $5 admission vouchers to share with friends and family, admission to nearly 200 nationwide children's museums, discounts on purchases and special events (including birthday parties), and the memberships are also partially tax-deductible. Check out the various types of memberships and their respective benefits here. Certain groups get discounts at the children's museum. Active retired, and reserve military members and their families get free admission on certain days of the year. Every other day, they get in at a discounted rate. Make sure you bring your military ID. Educators also get money off their museum membership, as long as they can show ID proof. There aren't a lot of restaurants around the museum. Although the museum has vending machines, you are welcome to pack a lunch and snacks to bring with you. Sit down at the picnic tables to eat. You can also leave the museum to dine at a nearby restaurant, but that won't save you as much money. You can leave the museum and return.